These are some pictures of the different styles of pI­qaD that I have encountered, mainly those used by Nick Nicholas, Roger Cheesbro and myself. 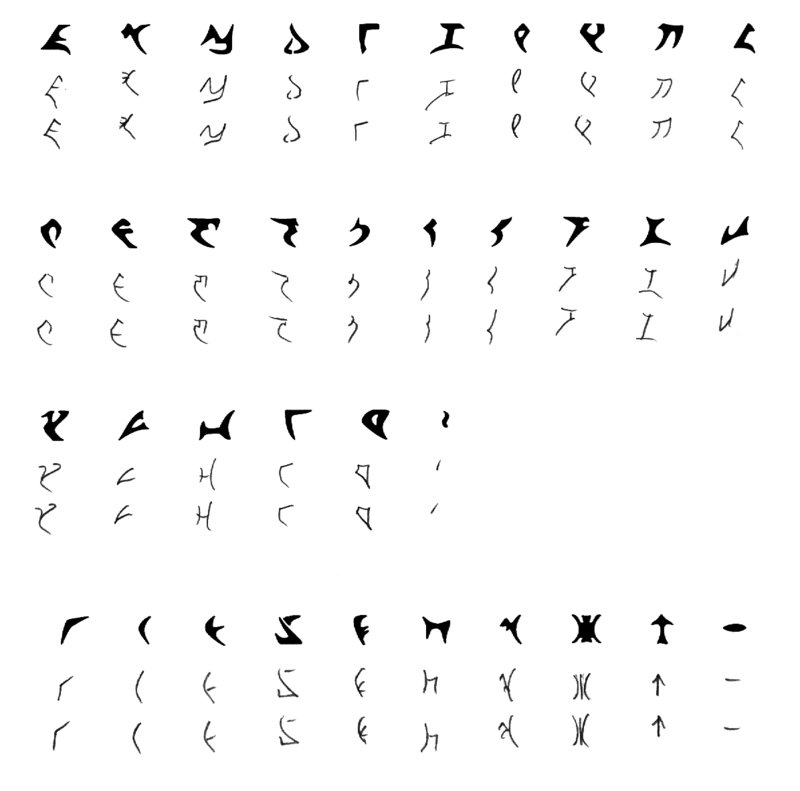 It is my intention to write a more comprehensive description of the Klingon writing system with detailed information about different styles of longhand as used by klingonists and Klingons around the galaxy. (Sooner or later.) The main research for this article consists of these pictures, but as of now the pictures will have to speak for themselves. If you have anything that you wish to contribute, you are more than welcome to contact zrajm, and share what you’ve got. All contributions will, of course, be fully credited. KLI pI­qaD chart. (From from the KLI webpage.) This is what is normally understood as pI­qaD. 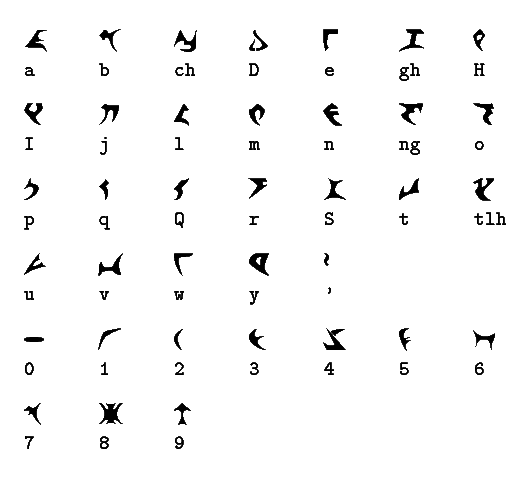 Klingonska Akademien pI­qaD chart, with pronunciation in IPA (pronunciation verified by Marc Okrand at 2001 qep­’a’, so this is canon). 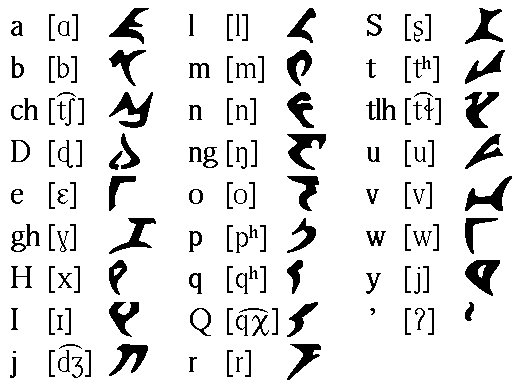 Paramount example of pI­qaD (from Star Trek Encyclopedia). 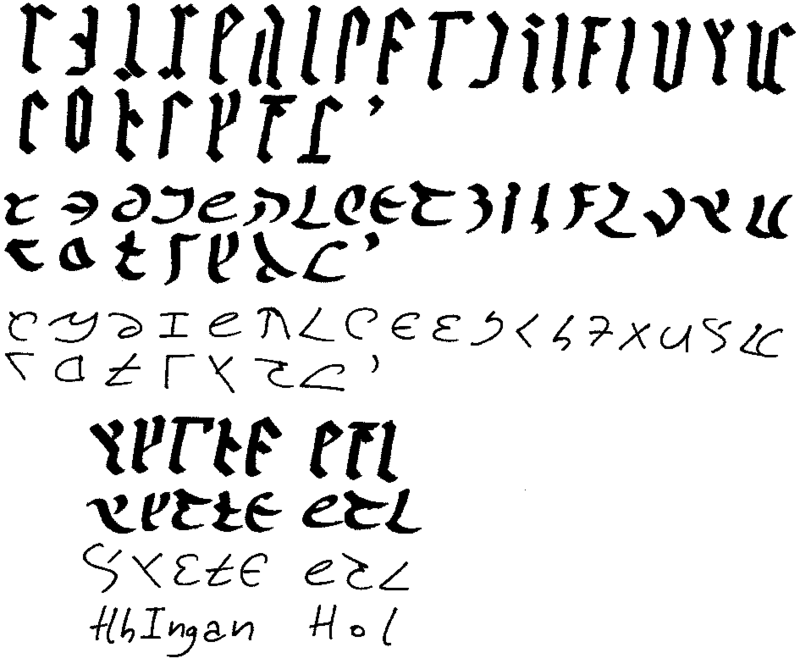 These are the glyphs used in the show. Some of them differ quite a bit from pI­qaD as we use it. Kevin A. Geiselman – Example of pI­qaD in use (on website). 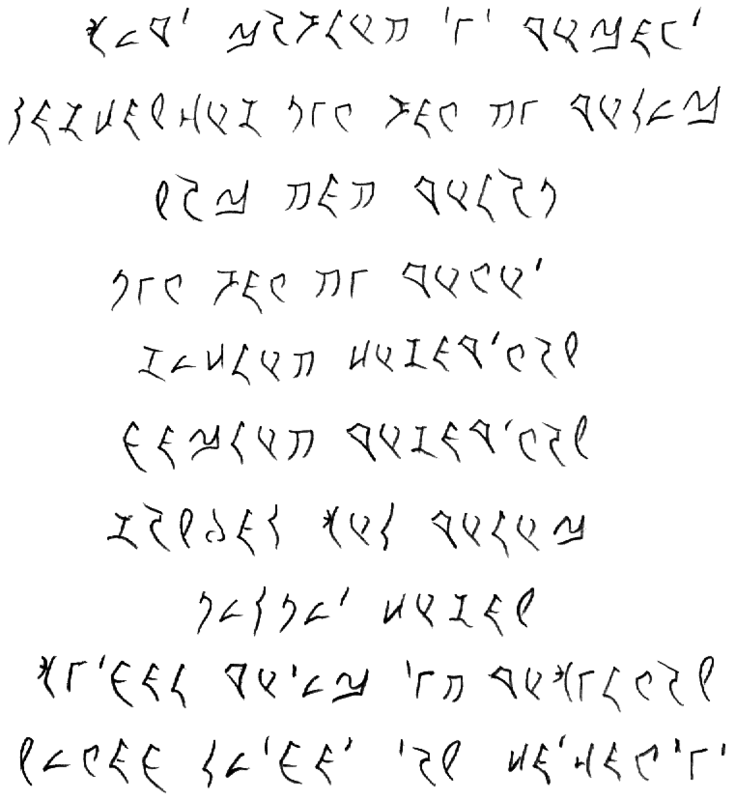 [Fetched in 1999, from http://www.fyi.net/~kordite/dochmey.htm] Zrajm – pI­qaD longhand description. (Instructions in Swedish; sorry. Start each line at the dot and you should be okay.) 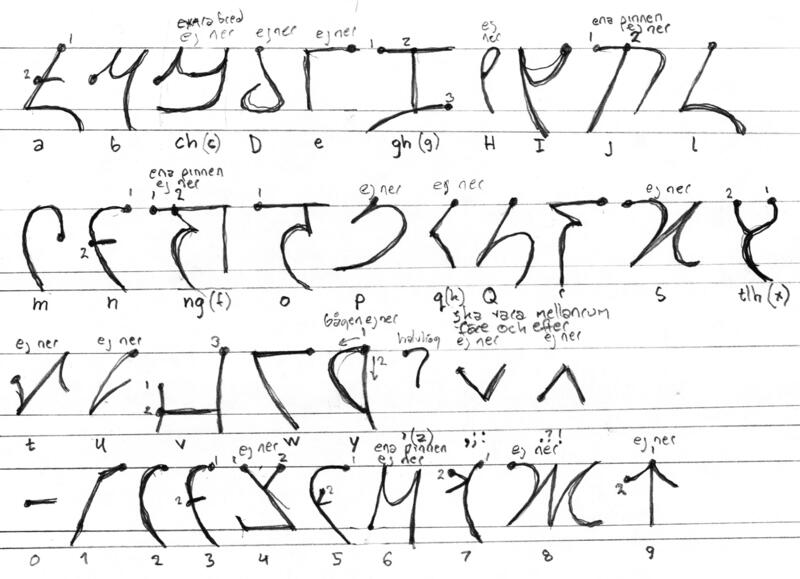 Roger Cheesbro – pI­qaD longhand (received September 2001 ). First longhand I’ve seen that is actually beautiful. 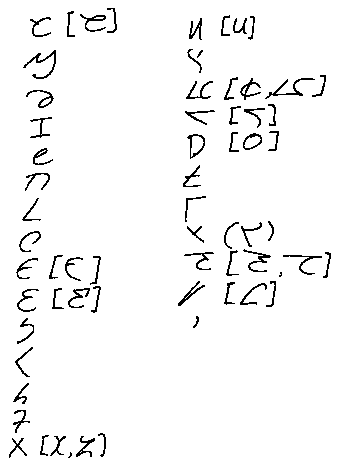 Roger Cheesbro – Brief extract from ghIl­gha­meS (which he translated). Nick Nicholas – pI­qaD longhand. (At the 2000 qep­’a’ he declared this more or less outdated.) Nick Nicholas – Envisioning the evolution of pI­qaD?